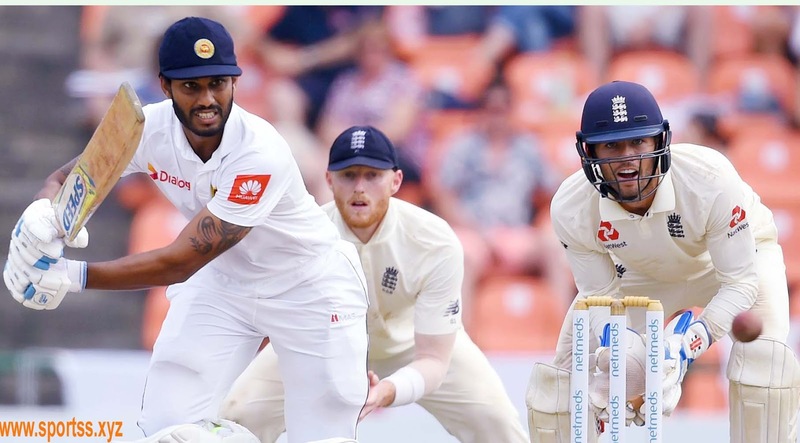 England beat Sri Lanka by 42 runs in the third Test in Colombo on Monday to claim their first overseas whitewash in a three-match series in 55 years. Spinners Jack Leach and Moeen Ali took four wickets each to help bowl out Sri Lanka, who were chasing a daunting 327 for victory, for 284 in the final session on day four. Kusal Mendis top-scored with 86 while number 11 batsman Malinda Pushpakumara remained unbeaten on 42. The sweep is England's first in a series involving three or more Tests since 1963, when a team led by Ted Dexter won 3-0 in New Zealand. England was bowled for 230 in their second innings with Jos Buttler making a crucial 64 after they had fallen to 39-4 against the opposition spinners. Sri Lankan batsman Kusal Mendis hit a defiant 77 to block England's path to a landmark win in the third and final Test on Monday. Chasing a daunting 327 for victory to prevent England scoring a series whitewash, the hosts were 164 for five at lunch on day four. Mendis and Roshen Silva, on 37, were batting. Sri Lanka needs another 163 runs to avoid a humiliating third straight defeat in the series. England is looking for their first overseas sweep in a series of three or more Tests since Ted Dexter's England won 3-0 in New Zealand in 1963. Left-arm spinner Jack Leach got the only wicket of the morning session after Sri Lanka resumed on 53-4. Nightwatchman Lakshan Sandakan scored seven before giving Ben Stokes a catch. Mendis, who started the day on 15, has put on 82 runs for the sixth wicket with Silva. Moeen Ali had led England's spin-charge in the final session on Sunday, removing the Sri Lankan openers for just 24 runs. Leach and Stokes also took a wicket each on Sunday as Sri Lanka slipped to 82-4.